Known as Okra in the U.S, also called “Ladies Finger” in other English speaking countries, called “Bhindi” in India, has high fiber, vitamin C, and folate content. Okra is also known for being high in antioxidants. 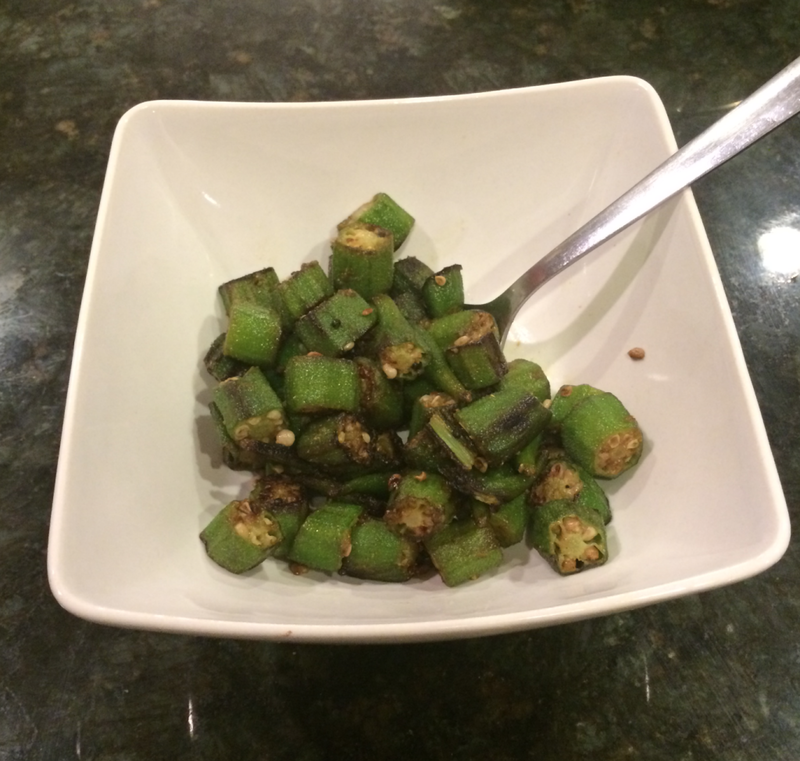 Okra is also a good source of calcium and potassium. It is also one of those vegetables that people either love or hate. And I’ve found that most of the hate comes from not knowing how to cook it. In restaurants around Atlanta, I’ve seen Okra being used mainly for Gumbo and deep fried (everything in the South is better when deep fried!). 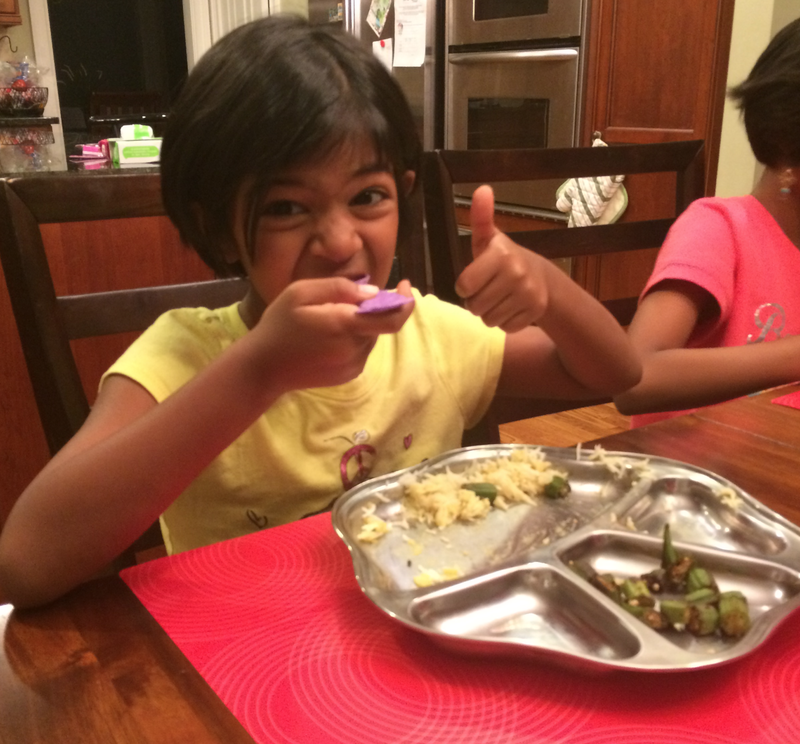 There are a ton of Indian dishes involving Okra that are healthy and tasty! I’ve had a lot of requests from friends to share recipes. 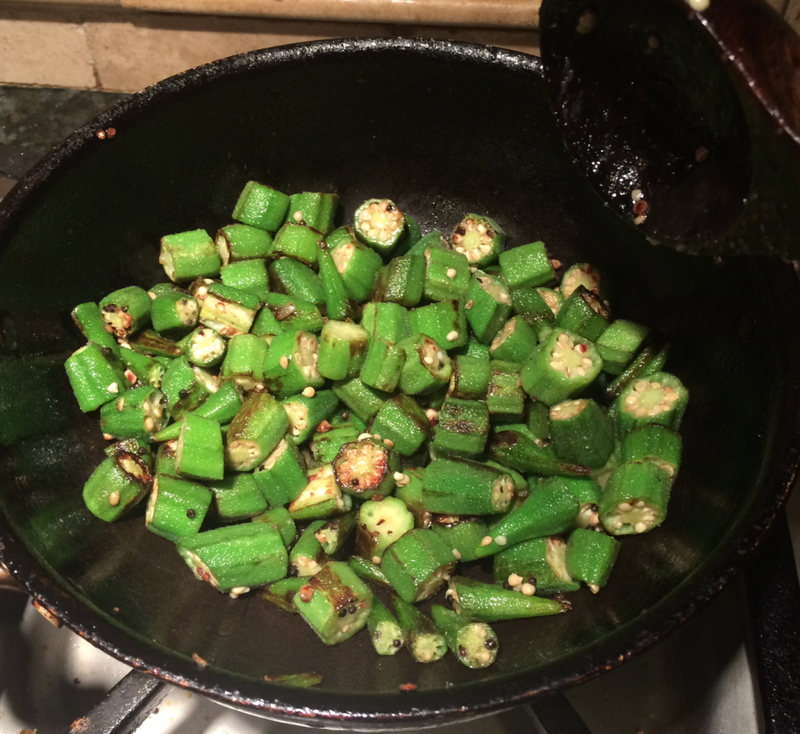 Starting the Okra love share with this very simple recipe. (I’m not a food blogger and the photos aren’t all that appealing. Maybe if I do this regularly, I’ll improve on my skills!) 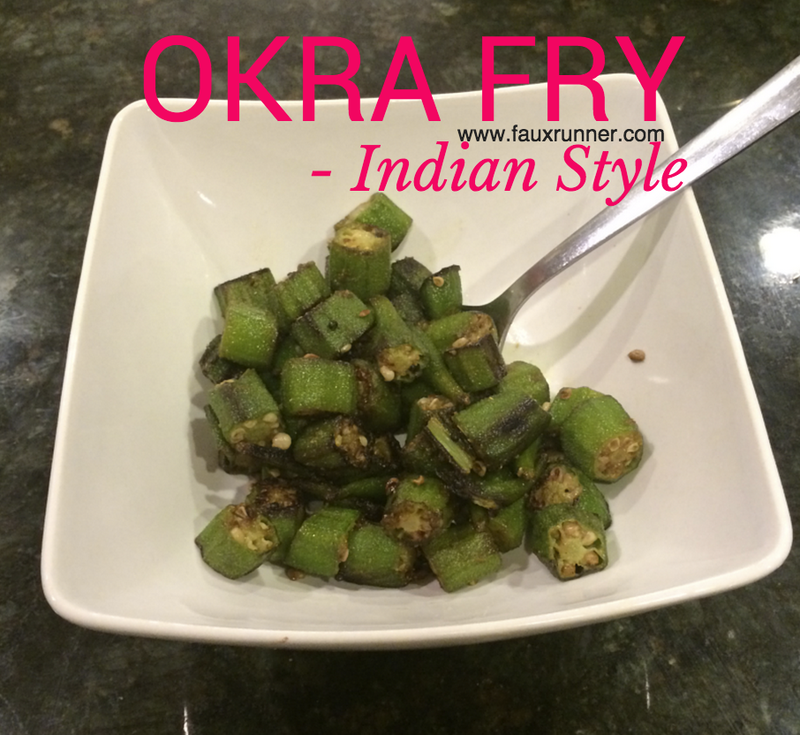 We LOVE Okra at my house and my kids love this simple Okra Fry, Indian Style. 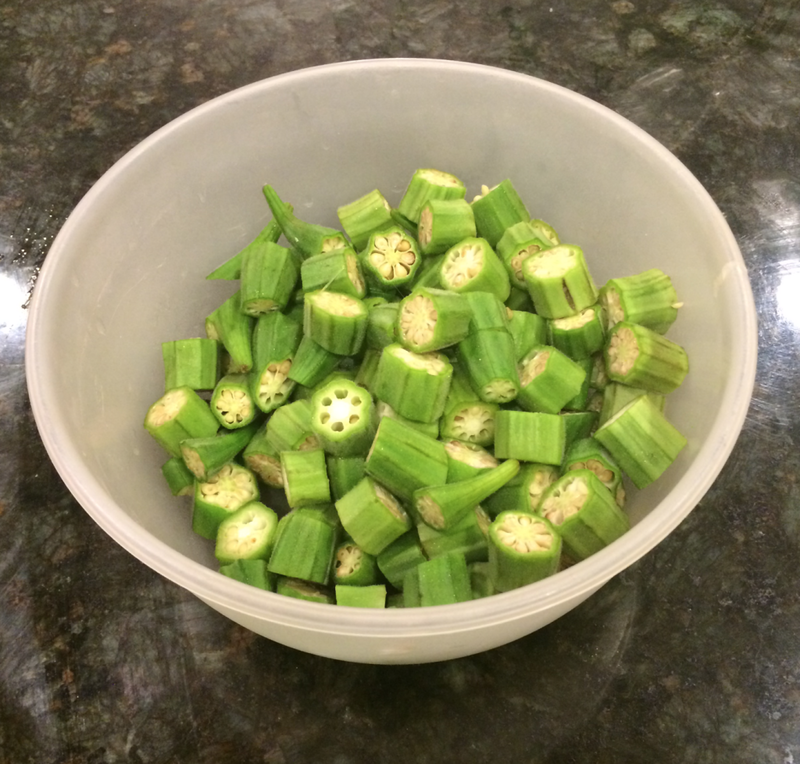 Cut okra into small pieces. You can cut them like this or lengthwise. Wash and dry them before you cut it. Heat a little oil in a cooking pot. I don’t bother to heat the oil too much. 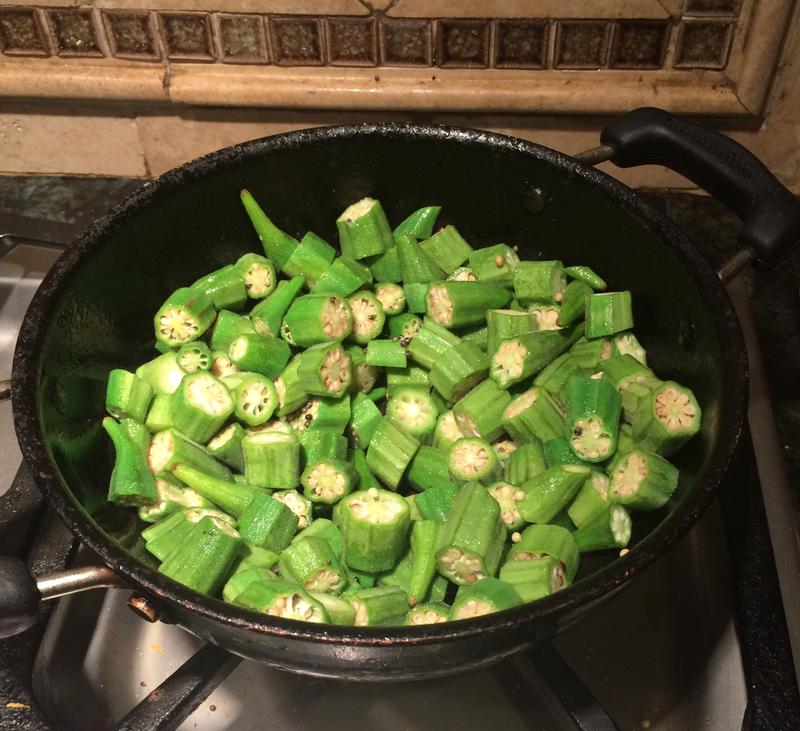 Add all the cut okra and saute it. Saute enough so that the sticky gooey stuff is gone. This is very very important. 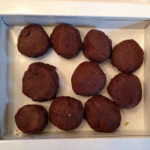 How do you know that the gooey stuff is gone? Just pick up a few with a spoon and lift. If it is done, the pieces you picked up separates cleanly. 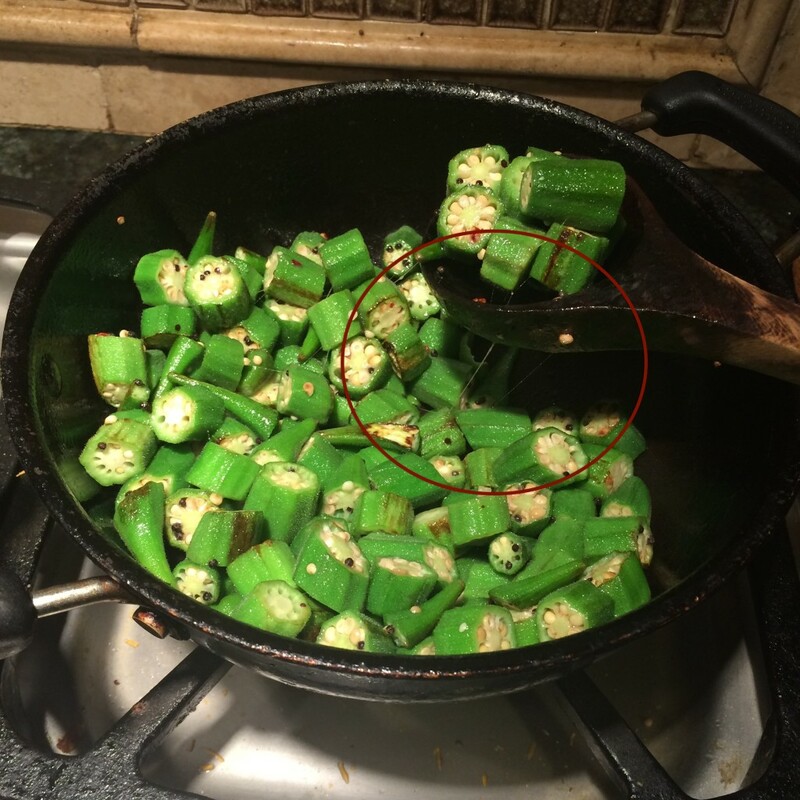 This is a very important step in all okra preparations, Indian style. If not done, you see string like sticky stuff. Now it’s all done with none of that sticky goey stuff. You can choose to stop or you can continue to saute it more to make the okra crisp. 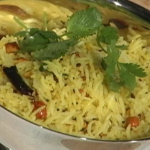 Add salt to taste, 1tsp of cumin powder and 1tsp of coriander powder. You can honestly add whatever spices you have. 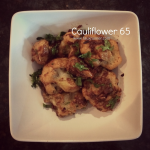 I’ve added chilli powder in the past or garam masala powder. And if I haven’t had any on hand, I skip all the spices and just add salt. 6yo approves! 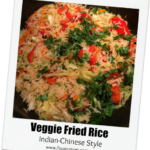 It has just the right blend of spices and it is not spicy. 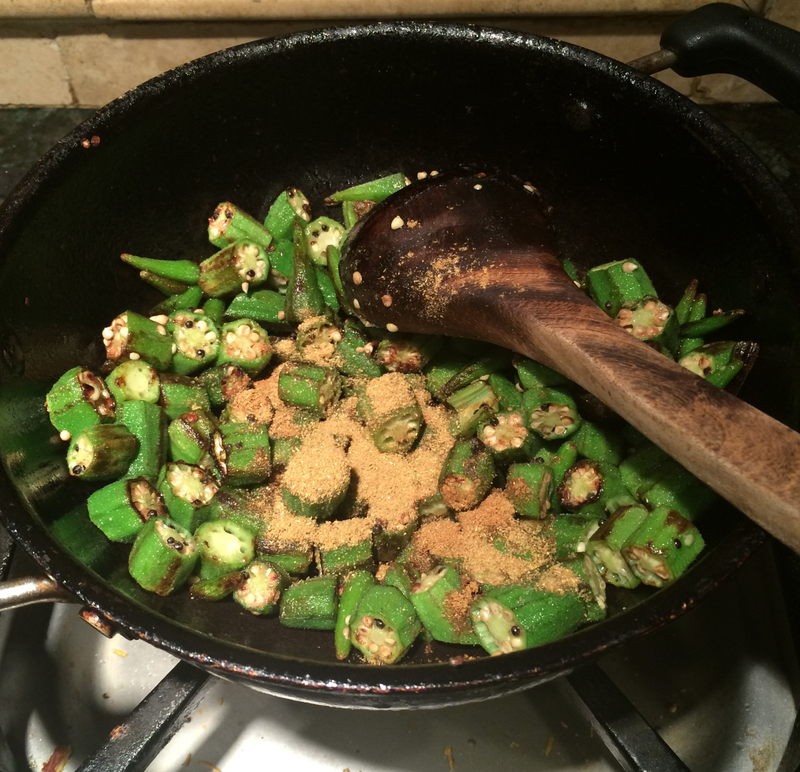 Simple Okra preparation, Indian Style, with just the hint of spices. 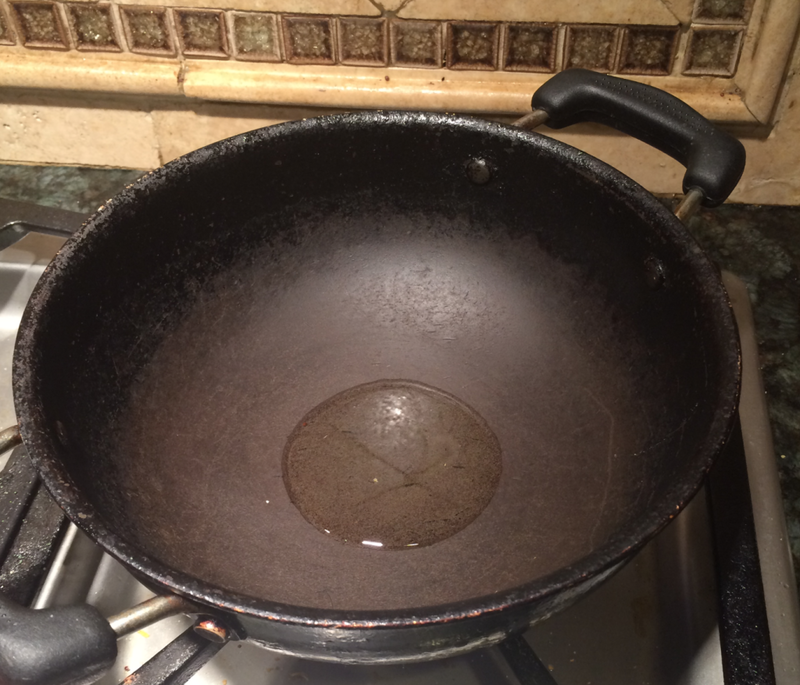 Heat a little oil in a cooking pot. Add all the cut okra and saute it until the sticky gooeyness is gone. 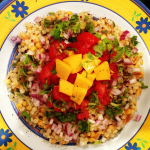 Add 1tsp of cumin powder and 1tsp of coriander powder to taste. 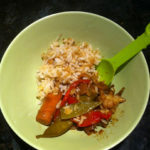 Got any okra recipes to share?